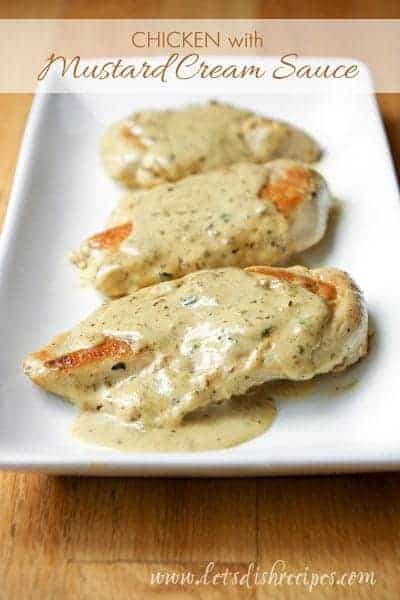 CHICKEN WITH ROSEMARY BUTTER SAUCE — Sauteed chicken breasts smothered in a creamy rosemary butter sauce. Ready in 20 minutes or less! 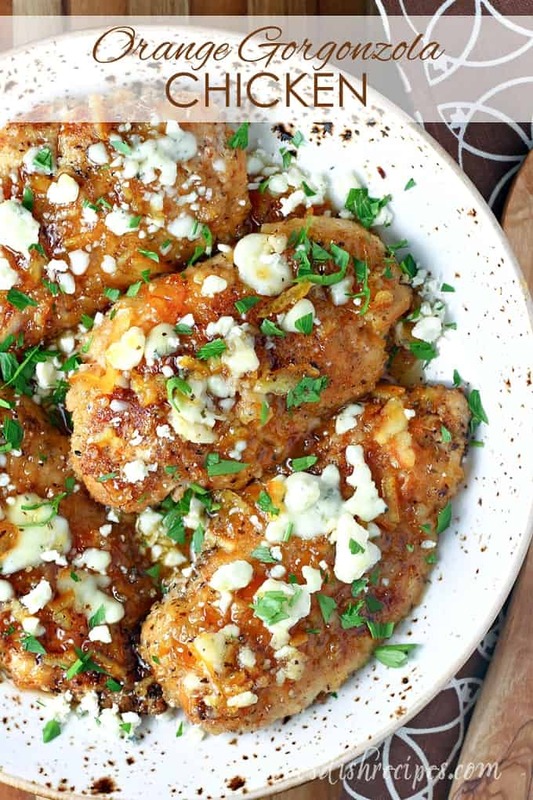 I know it’s been said before, but you really can’t have too many chicken recipes. 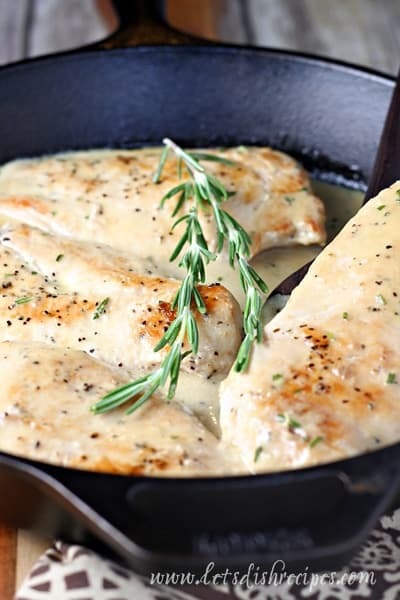 Especially chicken recipes like this Chicken with Rosemary Butter Sauce. This delicious dish can be made in about 20 minutes and only dirties one pot! And a sauce made with butter and cream–how could you possibly go wrong there? This chicken is nice enough for company, but easy enough for a weeknight meal. My kind of dinner! I recommend a side of rice, potatoes or pasta to go with the creamy rosemary and butter pan gravy. In fact, it’s not a bad idea to double the sauce so you have some to spoon over your chosen side dish. Add some grilled or steamed veggies (we like green beans!) and you’ve got a fabulous meal in almost no time. 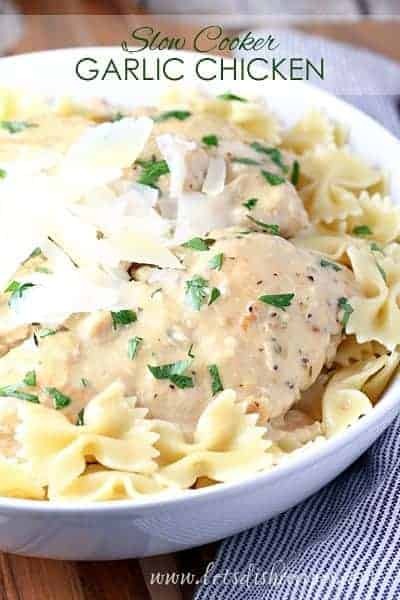 This was one of those dishes my family kept raving about as they ate, and there wasn’t a bite left over, which means this chicken recipe went straight into the regular menu rotation! This recipe is what I like to call “easy but elegant.” Simple enough for a week night meal, but nice enough to serve for company. I hope you love it as much as we do! 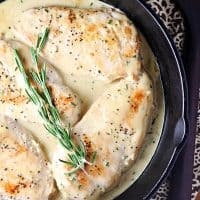 Be sure to save this Chicken with Rosemary Butter Sauce recipe to your favorite Pinterest board for later. 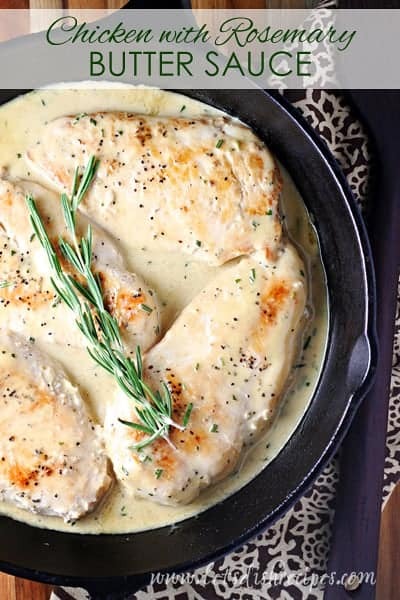 In a large skillet over medium heat, cook chicken in 1 tablespoon butter 4-5 minutes on each side until golden brown and cooked through. Remove to a plate and keep warm. Add chicken broth to pan and stir to loosen any browned bits from the bottom of the pan. Add the cream and bring the sauce to a simmer. Continue to cook and stir until slightly thickened, 3-5 minutes. Stir in the minced rosemary and the remaining butter until butter is melted. Return chicken to pan for an additional 2-3 minutes. Spoon sauce over top just before serving. Yummy chicken! Family loved it. This dish was delicious, although I may double the sauce recipe. There didn’t seem to be much left to spoon over the rice. But, all three of my picky eaters gobbled it up, and my husband who’s been getting harder and harder to please said it was excellent! Thanks so much Jodi! Glad everyone like it! Delicious! I did add some garlic, lemon juice, and lemon zest, but we will be adding this to our recipe rotation! Thanks! Can this still work if I don’t have the heavy sipping cream? It would just be chicken in broth, really but it would still work. I used regular milk and it worked great! Have you used dried rosemary instead of the fresh? No but you definitely could. Just use less. Sour cream works great instead of the heavy whipping cream if you don’t have that which most people have in their fridge. Also adding mushrooms makes a great addition… overall great recipe! All love it! What is chicken broth I’m New to this cooking game. Like the broth in soup. Will try this for sure… Yummy!! This was soooo tasty! Husband and I scarfed ours down with with some pasta. I seasoned chicken with salt, pepper and johnnys because I’m a sucker for seasoning. We will be making again. Thank you for something new to do with chicken.